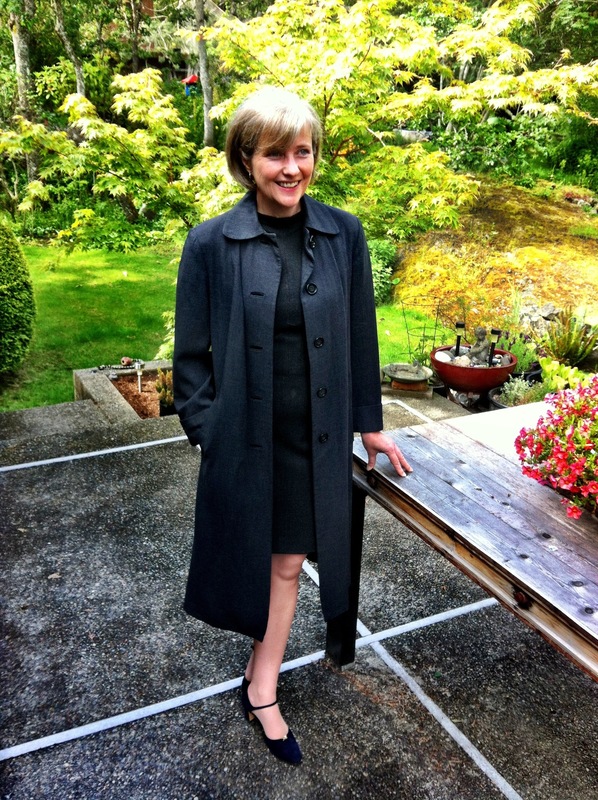 Katherine is wearing a vintage coat and a dress she bought consignment but made by a local designer in Vancouver. Love it – not only re-purposed but originally local. Her shoes were a present from hubby: new Ferragamos from the 1960s. They even came in the original box. This entry was posted in Fashion, Stephens Sister's Shopping Diet, Style-Diet Shot and tagged ethically-produced, Katherine, locally-made, organic clothes, re-purposed clothes, recycled clothes, second-hand, Stephens Sister's Shopping Diet, Style-diet Shot, sustainable clothes, Thomas Jefferson on July 11, 2013 by Gurdeep Stephens.